Aboriginals, Australia were two words Kath Shelper wanted to know more about. Kath grew up wanting to learn aboriginal history in Australia even though she was raised in country Victoria. Here she completed a PR degree at RMIT in Melbourne (even though she wanted to do Media but didn’t get in). When she finished her PR degree she wanted more facts about aborigines so she hung out in Melbourne and worked on Emma-Kate Croghan’s film school. She scored a producer attachment on Lawrence Johnston’s Eternity and moved to Sydney “just for six months” but fifteen years later she’s still there learning more about the Australia aboriginal history and Australian aboriginal tribes. Kath has managed to eek a living out of a movie producer salary by shooting more than her fair share of short films. Now she is steadily relieved that she has finally graduated to a feature. 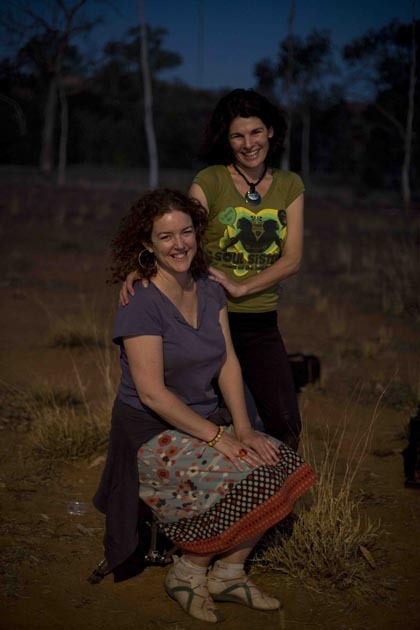 Kath and Warwick made Green Bush and Nana together, and Kath’s other films include Plains Empty, Above the Dust Level and Confessions of a Headhunter, which won the AFI Award for Best Short in 2000.